are the top professionals in the sport of fly fishing. Most are either experienced fly fishing instructors, guides or both. They often conduct lectures and seminars on their fly fishing specialty and many have published works as well. All share a passion for the sport of fly fishing and educating others to become better fishermen. Kelly is a pioneer in the field of streamer fishing. 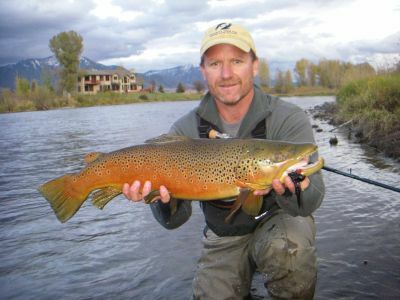 His techniques and patterns detailed in his book, “Streamer Fishing for Trophy Trout”, have revolutionized the way anglers pursue big fish on a fly. 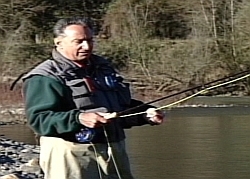 His Fly Fish TV videos have introduced thousands to this exciting way to fish. When Kelly is not busy speaking about fly fishing techniques or demonstrating how to tie his innovative patterns you can find him at his lodge and fly shop on the Madison River. Davy Wotton (Wotton being pronounced like cotton) is not a native of Arkansas or the United States. He was born in Wales in the British Isles and grew up fly fishing in the historic home of the sport. Thirty years of professional angling and fly tying led him to the White River; the base of his fly fishing school and guide business. Davy is a champion of the wet fly style of fly fishing which he demonstrates in the Fly Fish TV video “Wet Fly Ways”. Terry and Wendy Gunn are based out of their Lodge, Cliff Dwellers, on the Colorado River close to Lee’s Ferry. 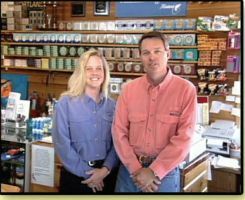 Terry is one of the most respected guides in fly fishing and Wendy is regarded as one of the best women fly casters in the world. Together they deliver comfortable and clear lessons you can enjoy and understand in their Fly Fish TV introductory videos. 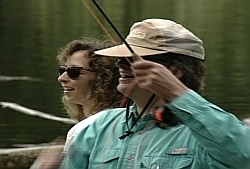 You will also see Terry and Wendy in a number of episodes in the Fly Fish TV series, Volume VI. John & Amy Hazel are as accomplished a Spey Fishing couple as yo will every find. They guide and instruct on a daily basis out of their fly shop on the Deschutes River. John is a pioneer of Spey Fishing in the Northwest and has introduced hundreds to the sport. Together they are a great team that delivers concinse and detailed instruction you can take to the water. Denny is an acclaimed fly fishing author, lecturer, and professional angler whose innovative patterns and angling techniques on stillwaters have changed the way people fish. As a prolific writer and instructor he has introduced thousand to stillwater fly fishing, and shown them how to be successful. 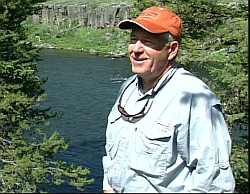 He produced most of the stillwater fishing and tying videos on the Fly Fish TV site. Host: “Henry’s Fork” and “South Fork of the Snake River” Mike Lawson is, without a doubt, the angler most associated with the Henry’s Fork River in Idaho. As a boy he grew up fishing it with his father, as an adult it has been the center of his life’s work as a guide, fly shop owner, and outfitter. The river is also prominent in Mikes’ popular fly fishing book “Spring Creeks”. 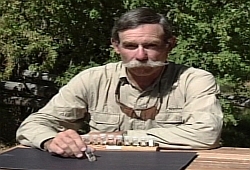 Because he is so generous with his fly fishing and tying knowledge, and has been a great steward of the Henry’s Fork, Lawson is a legend is the sport. 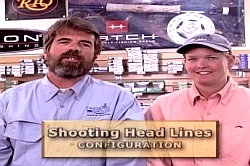 Host: “Secrets of Steelhead” Jim Teeny is “the expert” when it comes to fishing shooting head and sinking lines for steelhead. He developed his own fly line company just for this purpose, and he knows what it takes to catch fish using these tools. He may be most famous for his “Teeny Nymph”, a pattern he has caught huge salmon, trout, and steelhead on around the world. Jim is also is a fly fishing author, celebrity speaker, and instructor. 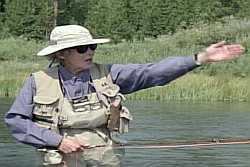 Host: “Fly Fishing Trout Streams” Maggie Merriman is one of the “Legends of Fly Fishing” who has spent secades sharing her knowledge of the sport with students and audiences alike. Maggie teaches her fly fishing schools out of West Yellowstone, Montana, where she helped pioneer fly fishing on the regions rich trout waters. She is an expert angler and caster who has done much to promote the sport and protect our fisheries. Maggie winters in Southern California and appears often at fly fishing shows in the region. 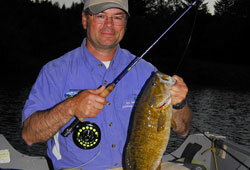 Hosts: “Fly Fishing for Bass & Panfish” Skip Morris is a popular author of fly fishing and tying books and videos. Along with his wife Carol, who specializes in outdoor and fly tying photography, they appear at Sport Shows and Fly Fishing clubs across the country. Skip also writes for a number of fly fishing publications, and in his spare time does fly fishing instruction on a variety of subjects. 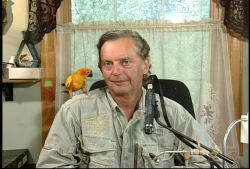 Host: “Bugs for Beginners” Jay Buchner is an expert angler, guide, and fly tier who has spent a lifetime studying the bugs that trout feed on. Out of his home in Jackson, Wyoming Jay guides may waters in the region and ties some pretty special flies for discriminating anglers. He and his wife Cathy have done much to preserve and enhance the regions trout fisheries, and Jay has worked diligently on improving the United States Fly Fishing Team. 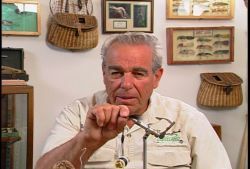 Host: "Smallmouth Fly Tactics" Joe Warren is a fishery research biologist, an accomplished fly tyer, lecturer, and author of Tying with Glass Beads, published by Amato Publications. He has produced a number of fly designs to his credit.